In August 2018 a number of prototype Nkkors were listed on Yahoo Auction Japan. The seller cancelled before the listing completed. 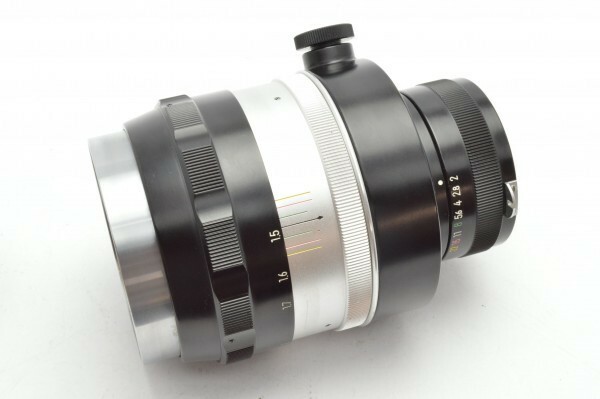 The lens shown here is a prototype 135mm 1:2 lens, a faster alternative the the modest Nikkor-Q 135/3.5 which had been available since the early rangefinder days. 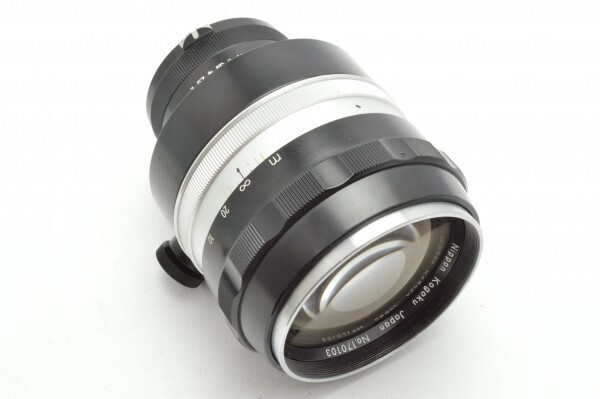 The focal length is marked in cm (13.5cm) and the barrel is marked PAT. PEND. 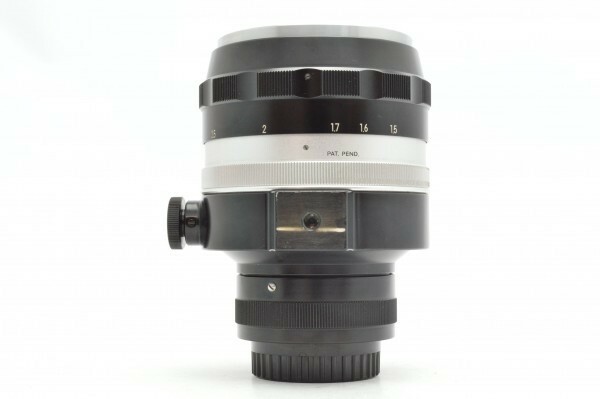 This suggests the lens was made in 1962 or 1963 at the latest. A very ambitious lens for Nikon in the early days of the Nikon F, even preceding more modest fast telephotos such as the Nikkor-Q 135/2.8 (Dec 1965) and Nikkor-H 85/1.8 (Aug 1964). 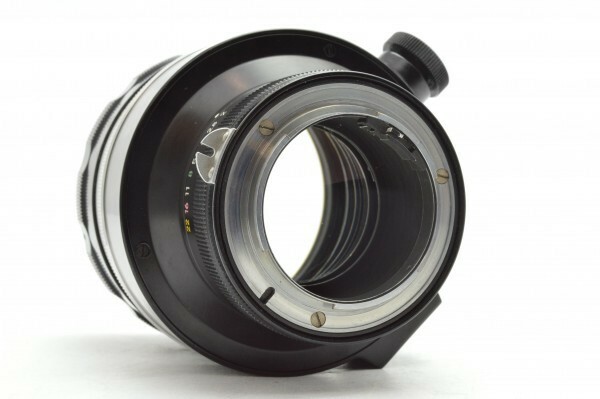 Filter size is probably 72mm, the first time this size is used on a Nikon lens. 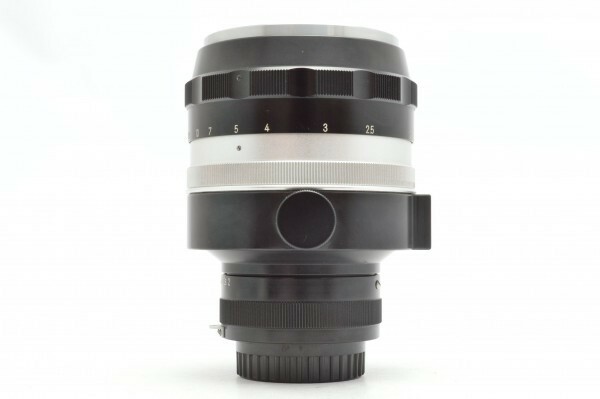 In the following years this became the "large standard" filter size, used by the Nikkor-P 300/4.5, Nikkor-UD 20/3.5, Nikkor-P 180/2.8 and others. 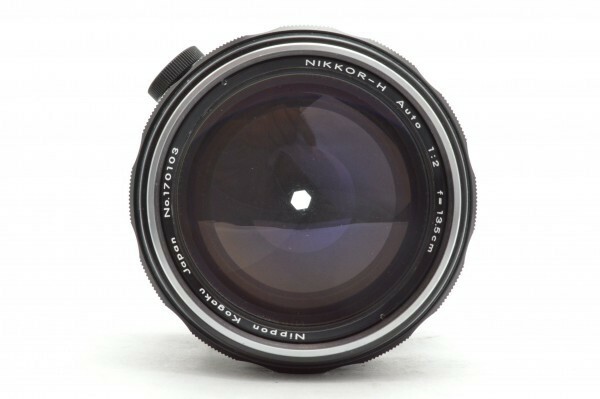 The lens is marked Nikkor-H (H = Hex = 6 elements) so probably had a double-gauss optical design, rather like a scaled up Nikkor-H 85/1.8. 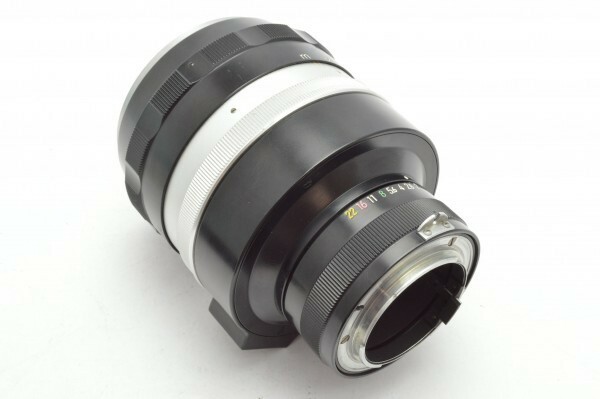 This lens was likely too abitious for the technology and materials of the time so never went into production. 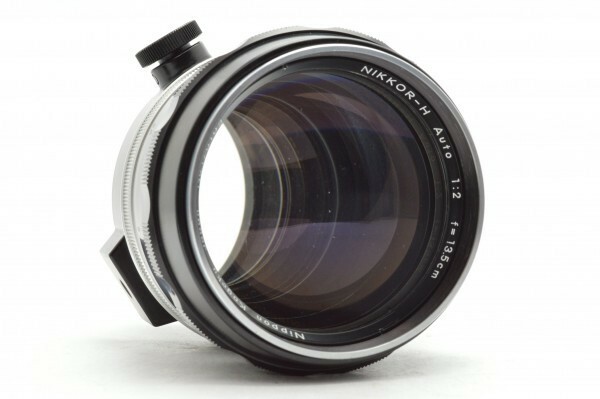 The first Nikkor 135/2 did not enter the market until a decade later. 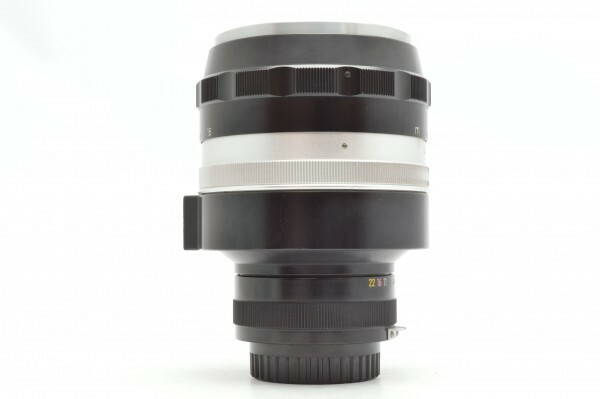 Interestingly this lens is also a 6 element design, although not related to this prototype.